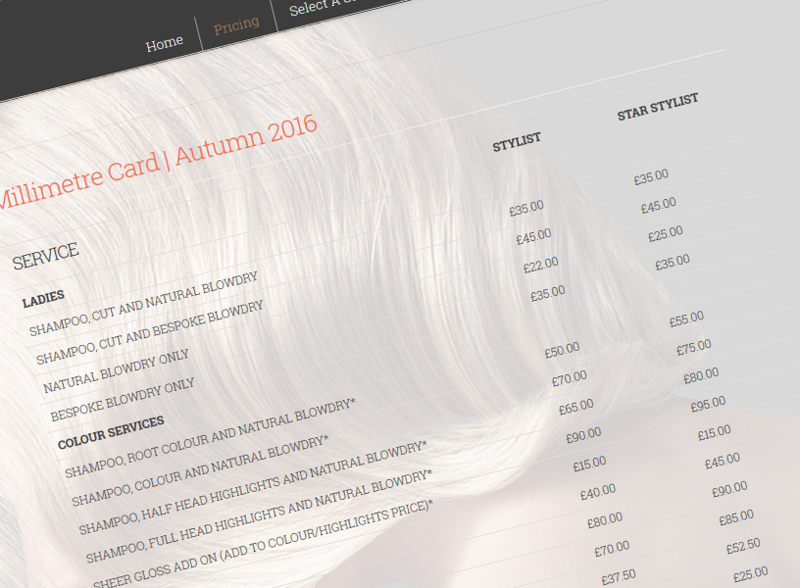 At Millimetre salons we’re excited to introduce a brand new website and service menu launching in all salons. ……. intended to save you money when it’s time part with your hard earned cash. Check out our new 24-7 online booking systems by selecting your salon of choice now!